In among all the chocolate eggs we see in the shops, it can be difficult to find a religious Easter gift idea. At the end of the day, Easter is not about the Easter bunny leaving eggs around the house (as much as our kids would be disappointed to hear I’m sure!). Last week I posted a cute set of Easter Hershey bar wrappers complete with bunnies and Easter chicks. As much as it is lovely to have all these things over Easter, it is also important to remember the real reason why we are celebrating. 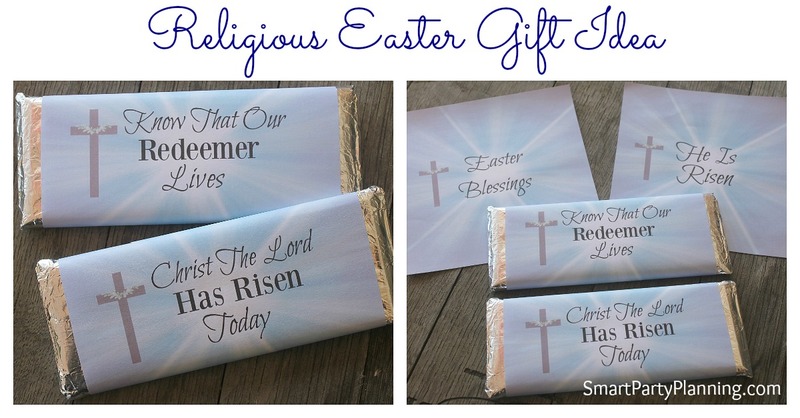 It can be incredibly difficult to find a gift that actually displays the real meaning of Easter, so this year I have designed a set of 4 printable Hershey bar wrappers to help out with that task. Of course it doesn’t mean we can’t still enjoy all those cute Easter bunnies, but sometimes it is nice just to have something that makes us stop and reflect about what the season really is and why we are celebrating. So if you have been searching high and low for something that will symbolize the spiritual meaning of Easter, then this Easter gift idea could be just what you are looking for. 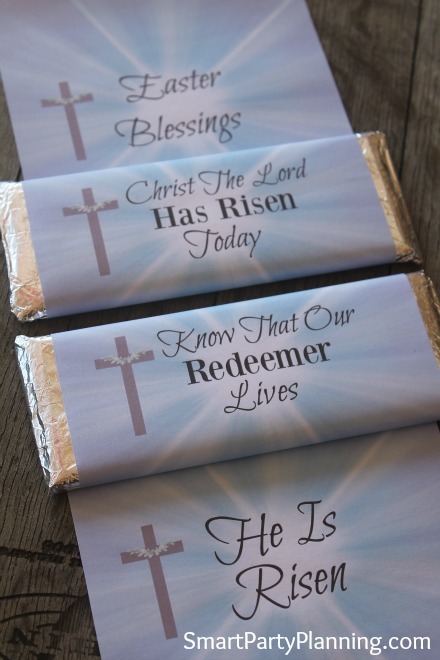 The wrappers fit the standard size Hershey bars, so they are perfect for giving as multiples (if you would like to use all the designs), or you can send out to various friends or family members. They are also the perfect size for the kids to give out to their classmates. They would also be great for Sunday schools, or Easter party favors. 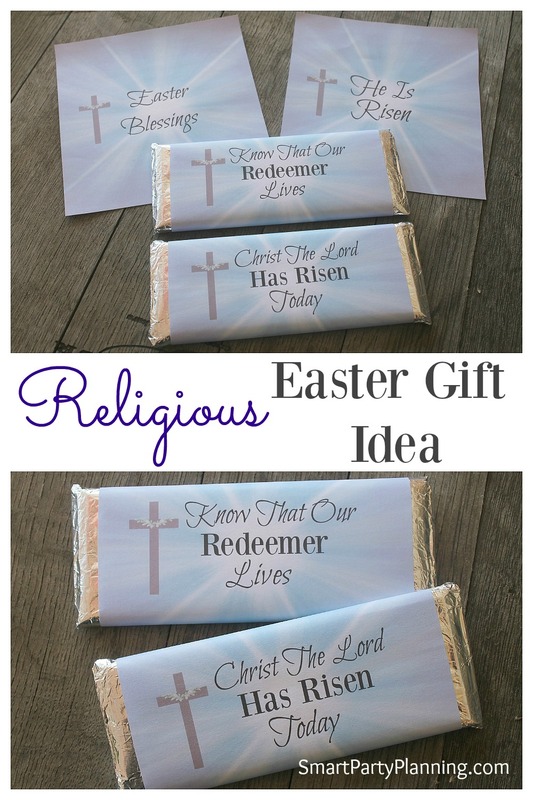 If you love the idea of using printables to create your Easter gifts, then you might like to check out the following….although be warned….they are more geared towards the Easter bunny! Do you like to recognize the real meaning of Easter in your family?